All set for Christmas? Present wrapped, tree is up and cookies have been baked! But, don’t forget about your dog by making him a yummy treat, too! 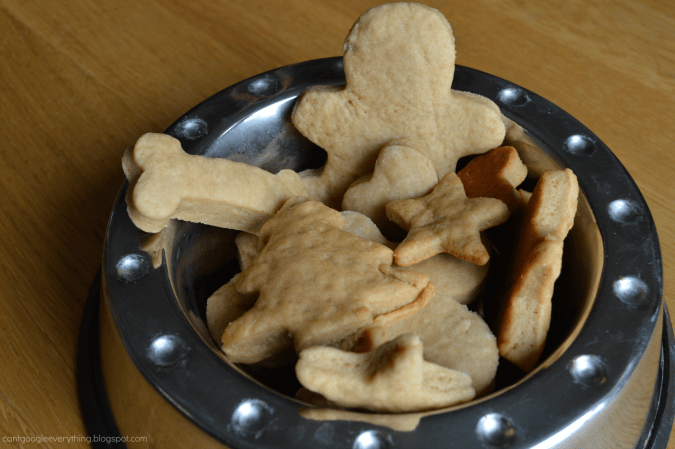 This week on Mini Chef Monday’s, my son and I are sharing some peanut butter Christmas cookies we made just for our dog! They were fun and easy to make and smell great baking, too! *please consult with your vet before feeding your dog anything you are unsure about! 1. Mix all the dry ingredients in a large bowl. Mix the wet ingredients in another bowl and then combine the two, mixing well with a hand or stand mixer. 2. Remove dough and place on a floured surface. 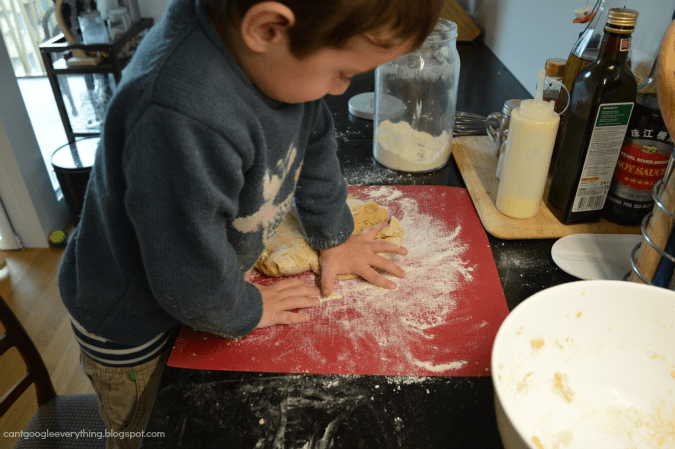 Knead the dough for a few minutes until it’s smooth. 3. 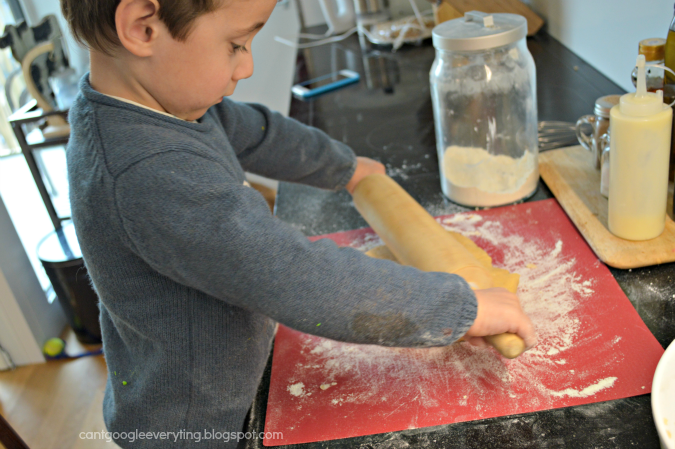 Roll the dough out thin. 4. 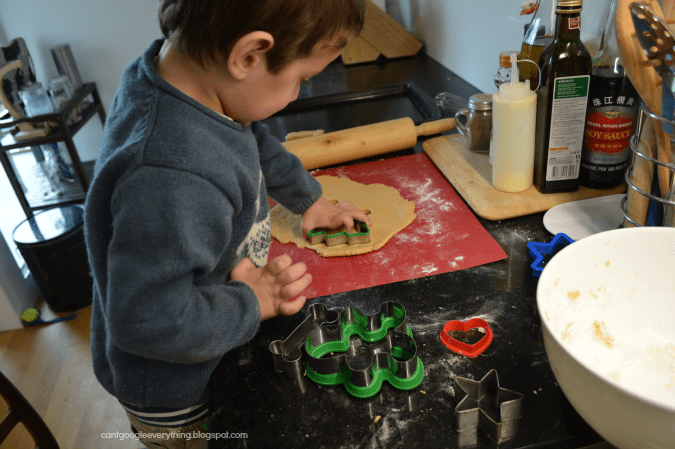 Cut cookies out with Christmas shaped cookie cutters (or other shapes for other holidays!). Place cookies on a lightly greased baking sheet. 5. Bake at 350 degrees for about 15 minutes. Allow the cookies to cool completely before giving them to your dog! 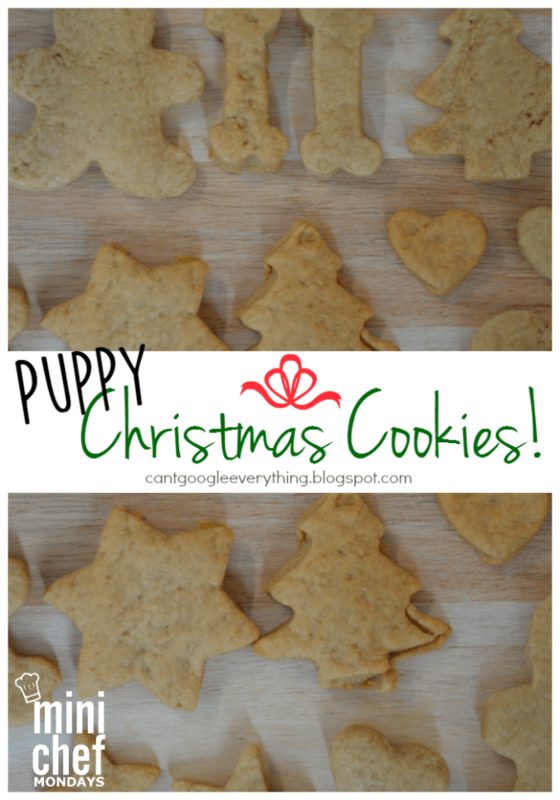 We hope your pup loves these cookies for Christmas!